This week I had a great time couponing! Not pictured, but at CVS last Friday afternoon I bought..
2 packages of Charmin toilet paper at $9.99 each. I did so to finish up the Charmin deal- buy $30 worth and get $10 back. I also bought a Dove beauty bar for $2.27 thinking it would help me finish up my Dove deal (buy $15 get back $5) but it didn't count towards it! So that was a $2.27 mistake =( But now I know what items ARE included in the deal and can learn from that mistake. My out of pocket total was $4.72- not bad! I used a coupon for $4.99 off the clear conditioner making it FREE! I spent $1.78 out of pocket and got back $3 for my next purchase! 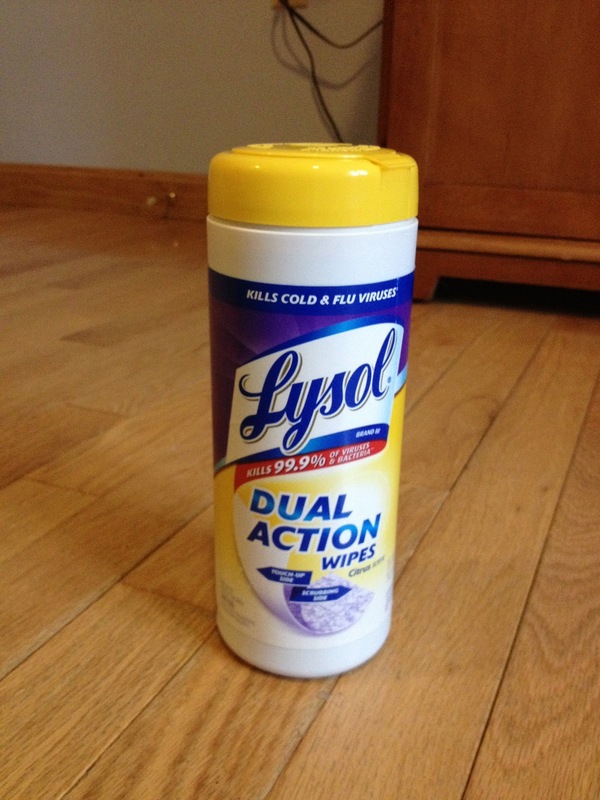 I picked up Lysol Dual Action wipes so I can send in my receipt to get a rebate! This will be completely FREE! On Wednesday I went back to CVS AGAIN because of the 20% off deal of the day coupon I managed to print at the correct time! 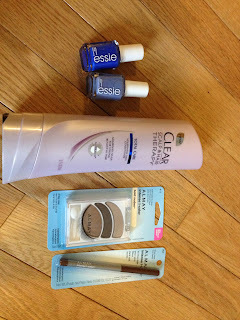 I used a printable CVS coupon for $2 off essie, and (2) $1 off essie nail polish making them $12.98 total or $6.49 each. 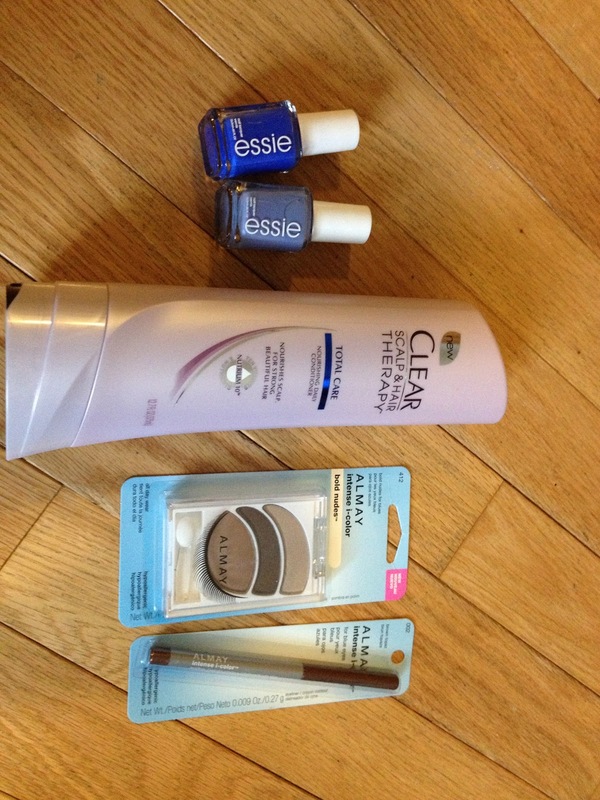 I also used a coupon for $4 off $12 of beauty products. I considered this as going towards the Essie, making them $8.98 total, or $4.49 each! Lastly, I had a 20% off coupon that took $4.30 off my total cost. I used $11 in ECB's to pay for this transaction, and my total spent out of pocket was $1.05, 16 cents in cost, 89 cents in tax. CRAZY!!!! Overall it was a sweet week! this is samantha over at simply organized! hope you're well! the winner of the $25 visa gift card from apartments.com never replied to me at my attempts to contact her. my sponsor is now asking me for an address, so i ran the numbers again and your name came up! woot! if you would please e-mail me your name and mailing address, i will have the sponsor mail you the $25 gift card asap. yay! !